M.E.C.’s 70A Series and R70A Series low pass filters transmit energy in the dominant TE10 mode with minimal loss and absorb internally the next few higher order harmonics while maintaining low VSWR across their passband and stopband. They are ideally suited at the output of high power waveguide transmitters and harmonic-rich broadband sweep oscillators. By filtering the harmonics out of the fundamental signal, these units increase accuracy of power and frequency measurements, condition the signal for further processing and clean the spectral output of the transmitter with many EMI and EMC benefits. These filters also prolong transmitter life by reducing standing waves in the transmission path caused by trapped higher order modes. 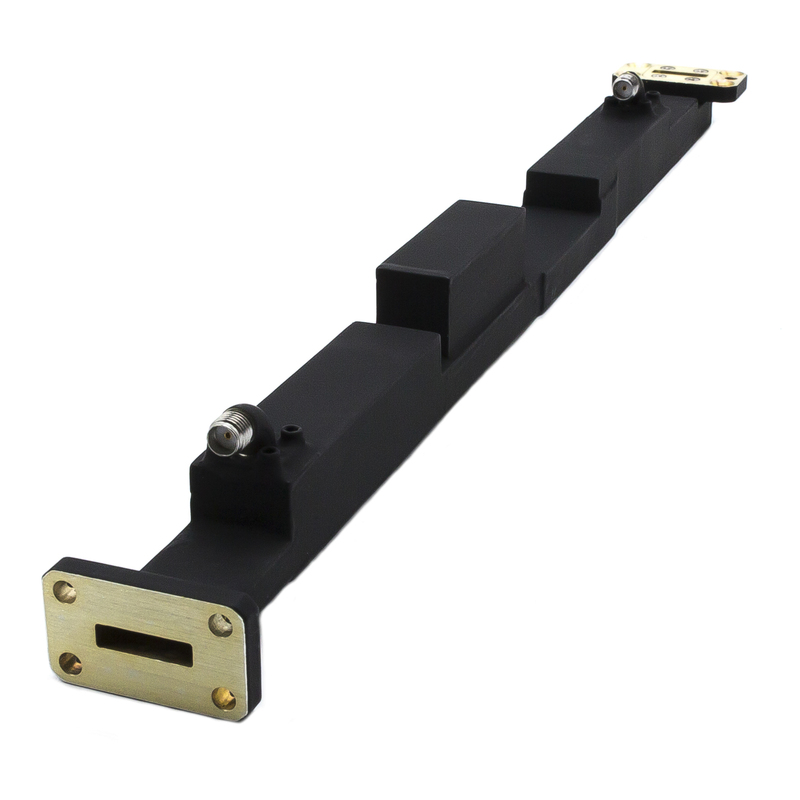 The 70A and R70A Series cover rectangular and double-ridge waveguide bands respectively. Both may be designed to pass from a narrow communication band up to the full bandwidth of the waveguide used. Their absorptive stopband normally covers the 1st and 2nd harmonics of the passband which contain most of the energy to be filtered. Other than bandwidth, the available options include folded or compact designs and extended stopband up to the 3rd harmonic. Unit material is aluminum, flange type is optional, finish is chromate conversion per MIL-C-5541, Class 3, and paint is high-temperature black epoxy enamel. (1) Select the model number and specify desired passband frequencies and stopband attentuation.